Blog Java and J2EE Tutorials How to get Process ID and Live Threads of a Java Application? This is a simple Java Thread Life Cycle diagram for your reference. Below is a simple program which tells you how to get Process ID and Total # of Live Threads of any Java Application. 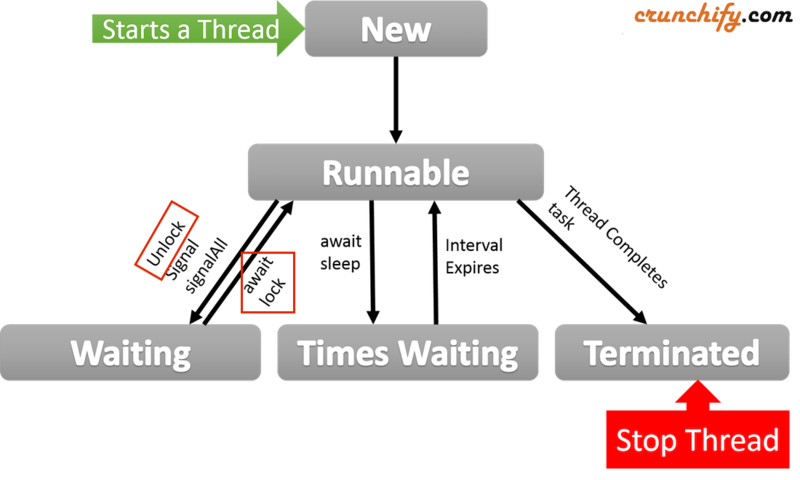 We are using ThreadMXBean management interface for the thread system of the Java virtual machine (JVM). Bean contains number of very important methods which we could use at runtime to analyze thread and application behavior. How to Get the Up Time of a JVM Programmatically? Thanks Muresan. Happy coding and keep visiting.